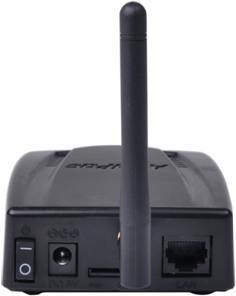 VoiceFinder AP-3G501B 3G FXS Gateway provides high-performance Analog Phone(FXS) to 3G gateway solution for small enterprise such as SOHO. This product uses the state-of-art technology voice compressed algorithm and unique QoS algorithm of AddPac to maintain the maximum voice quality under fast internet line and slow internet line as well. This product is designed based on high performance RISC CPU + DSP structure; supports upgraded speed, the best quality product, offers various user-friendly functions, manufactured at low cost and this product gives high performance for its price. 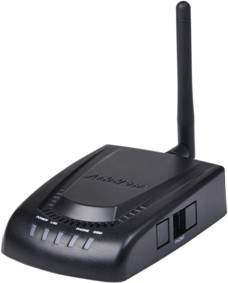 AddPac AP-3G501B is a device that can support both 3G FXS gateway service (FXS?3G or Internet?3G) and VoIP gateway service (FXS?Internet) simultaneously. It also supports SIP, H.323 Multiple VoIP signaling protocol, various voice codec support(G.711, G.726, G.729A), one(1) channel 3G interface (antenna, USIM Card), one(1) fast ethernet port, one(1) FXS interface ports, and state-of-art technologies and services. AddPac’s various 3G & VoIP Gateway series and multimedia network devices have been fully recognized in terms of its performances and stability throughout the world. AP-3G501B, with our accumulated experiences and know-how in the enterprise and service provider markets, will provide full satisfactions for customers who ask for a next-generation 3G Voice Gateway. Web Page Link -> AP-3G501B Web Page.